Remedi-Cat - Remediation - Catalytic Oxidizer by Anguil Environmental Systems, Inc. 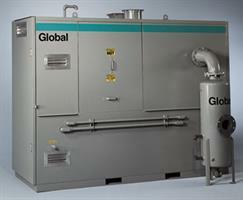 The Global Technologies' Remedi-Cat is a catalytic oxidizer specifically designed to destroy organic vapors from contaminated groundwater and soil. Our treatment devices are used at remediation sites for Volatile Organic Compounds (VOCs) and Hazardous Air Pollutants (HAPs) that are removed via Soil Vapor Extraction (SVE), Air Stripping, Dual Phase Extraction or Groundwater Pumps. During operation, emission-laden stream is drawn into the oxidizer utilizing a system fan where the air is automatically diluted to an appropriate concentration. Contaminants then pass through a primary heat exchanger, where they are preheated to reduce supplemental fuel requirements of the burner. Within the reactor section of the Remedi-Cat, emission temperature is raised to appropriate oxidizing requirement before passing though a catalyst module. As the vapor-laden air passes through the catalyst, an exothermic reaction takes place. The hot, purified air then passes through the hot side of the heat exchanger where the energy released by the reaction is used to preheat untreated, incoming air. The vapor-free air is exhausted to atmosphere primarily as water vapor and some carbon dioxide, providing greater than 99% destruction efficiency of organic vapor contaminants. The Remedi-Cat is designed as part of Anguil's broad line of technologically advanced, yet user-friendly, air pollution control products. 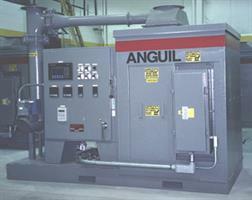 Anguil's experience includes over 35 years of Regenerative, Recuperative, Catalytic and Direct-Fired oxidizer manufacturing, ranging in size from 100 to 500,000 SCFM (150-800,000 Nm3/hr). These oxidizers are used in conjunction with Rotary Concentrator Systems, Scrubbers, Soil Remediation Equipment and Ceramic Filter Systems for industrial processes. Each product line represents value-engineered systems with emphasis on cost minimization. 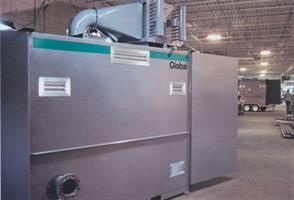 All systems are designed for seamless integration into the process, optimal performance and trouble-free operation. No reviews were found for Remedi-Cat - Catalytic Oxidizer. Be the first to review!